A young Swedish hotshot marketer who has just been transferred to the marketing department of Uber in New York said in an interview recently: Why should you be rated on what you can memorize from the schoolbook when you can google? To this we add something that Gerhard Richter has said: We aren´t capable of viewing paintings without searching for their inherent similarity with what we´ve experienced and what we know. In 2014 we saw the inaugural show at the new David Zwirner Gallery in London. We found the premises to be small, very small to be of such a voluminous gallery and not very attractive in the planning – far away from his Chelsea gallery. The show which was the first with Kerry James Marshall at Zwirners left us undecided. Marshall´s paintings incorporate the imagery of African-American experience in various ways. In all honesty – not our favorite subjects. However, his compositions are complex, the humanity and emotion palpable. That we liked. And his attitude and seriousness: ”I can always get somebody to fabricate something for me. But if I want to make a painting and I don´t know how to do it, I can´t fake it. If I didn´t learn how to do that well, I would feel like a failure”. Obviously feelings that he doesn´t share with artists like Koons, Hirst, Murakami and others. 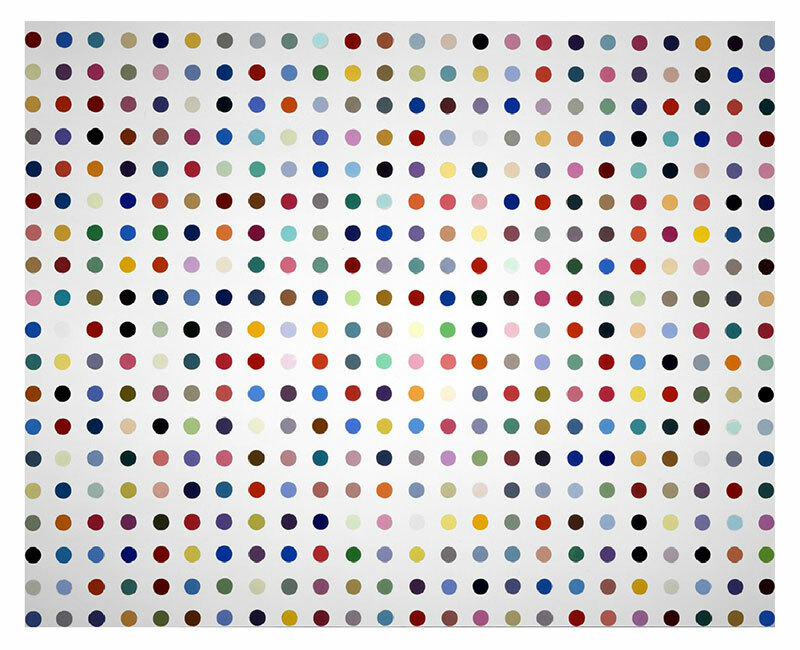 (Hirst is now back with Larry Gogo – now there will be art produced and sold again – just like we saw at the Frieze Art Fair in New York a little over a week ago!). To us, this – the attitude of the artist and the single way of approaching his art – is very important and constitutes a cornerstone in our appreciation of art and in how we collect and have built up our Collection. Most of our Artists we have followed for more than 30 years. They are Artists with the same attitude and relation to their art as Marshall. Now with time, we can see why this is so important – for them and to us. For all of them there is a kind of red thread winding through their years of work and creativity and the years are adding to the solidity and stability of their works. This is there to see and to be appreciated and the main reason why we are their Collectors. We think that the art of an Artist comes from a combination of the inside of the Artist and his technical skills. A theoretical knowledge gives an intellectual and academic basis. This is then combined with broad experience from life as it is; education, travel and exposure to living and life in various cultures and places. And of course hard work. Work is always present and carried out along the way. Work is the drive to learn what is not taught.